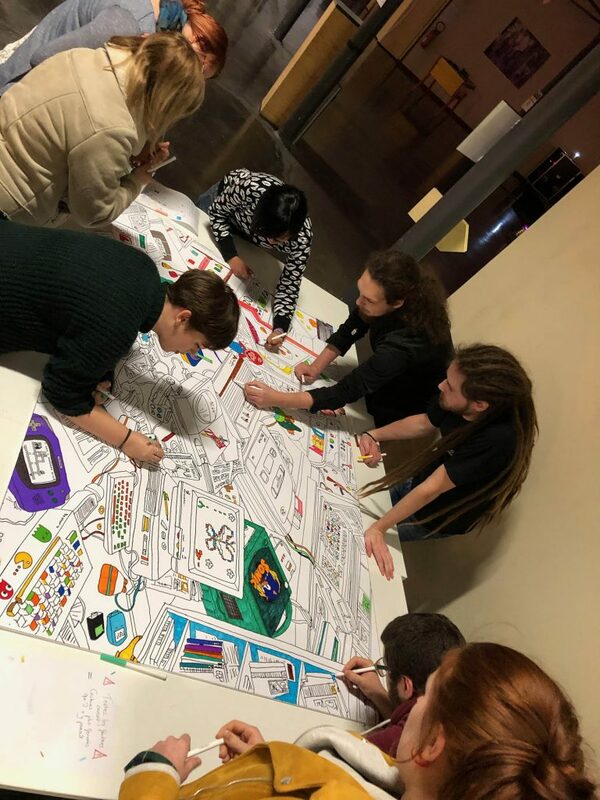 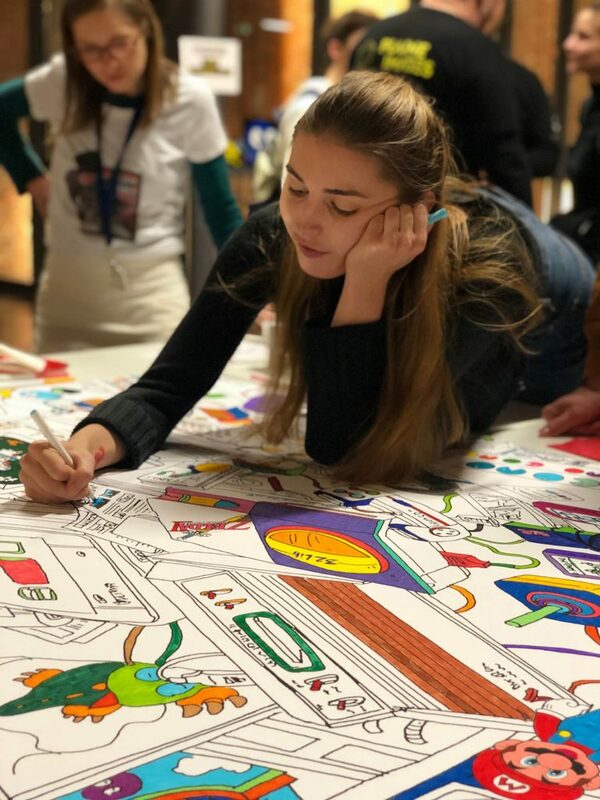 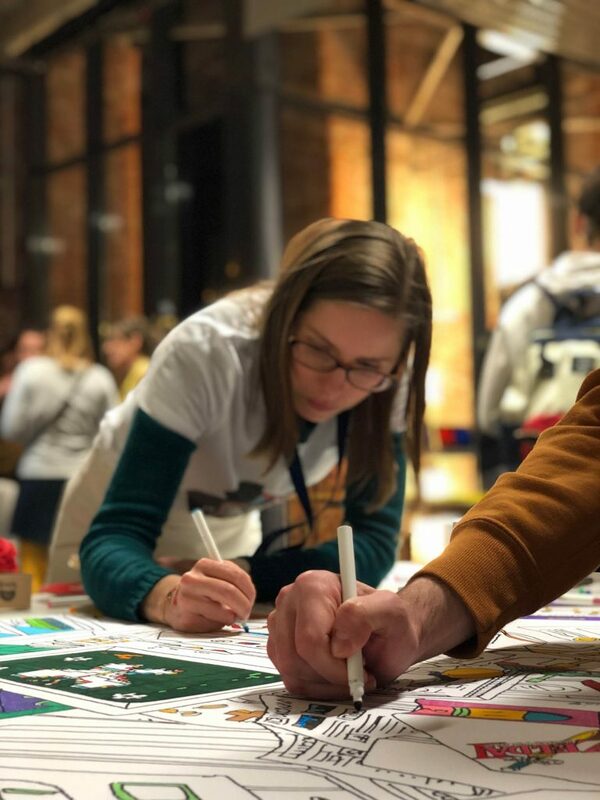 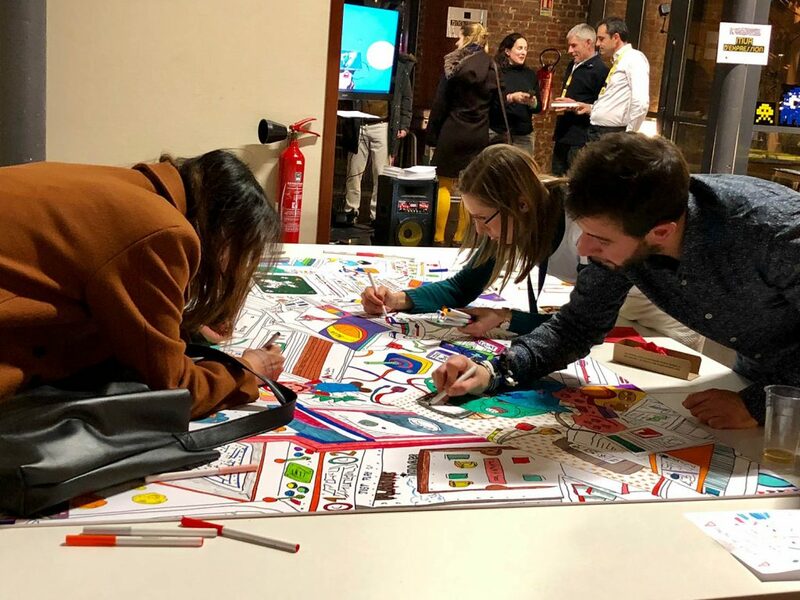 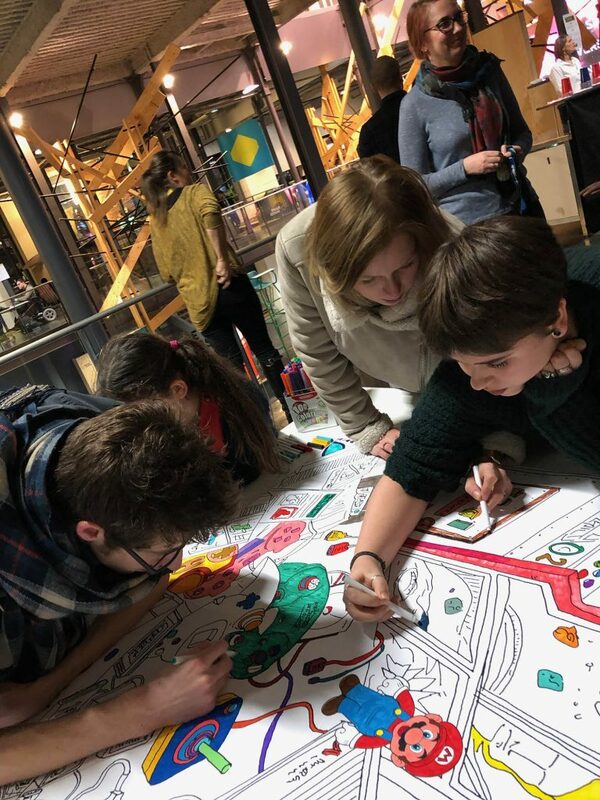 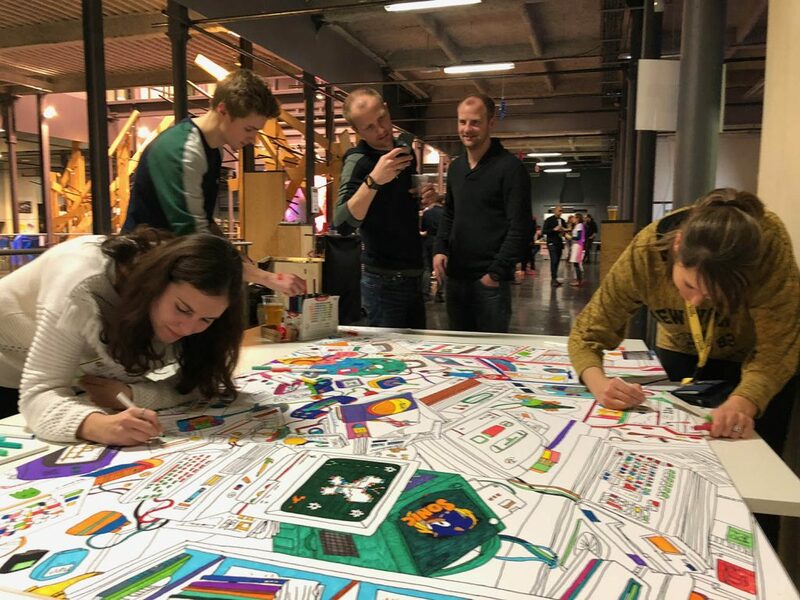 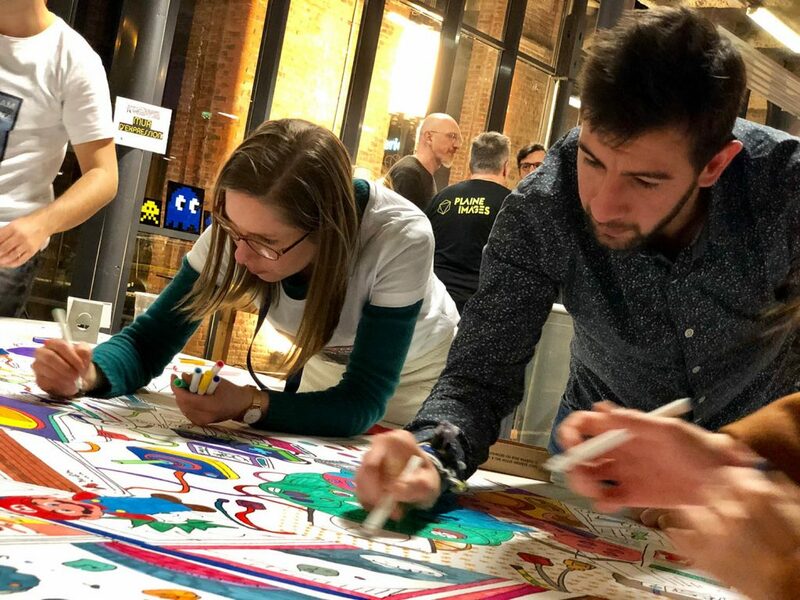 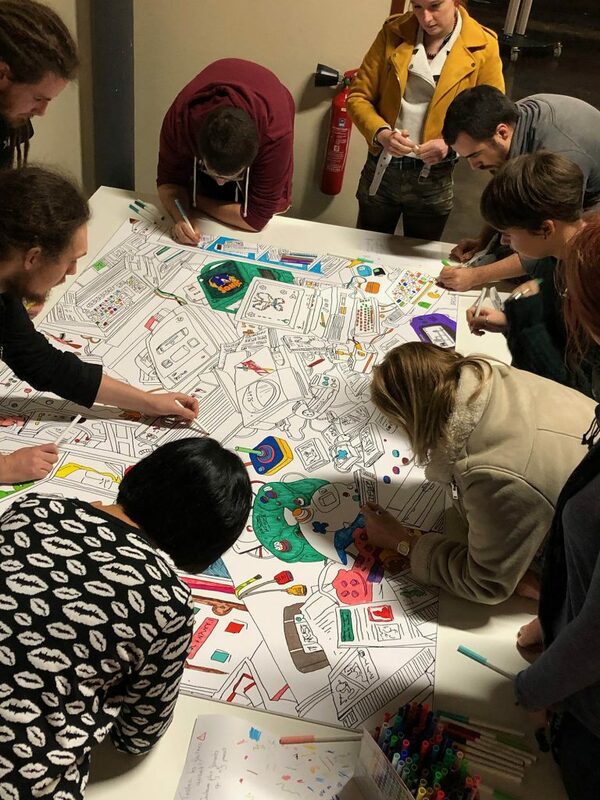 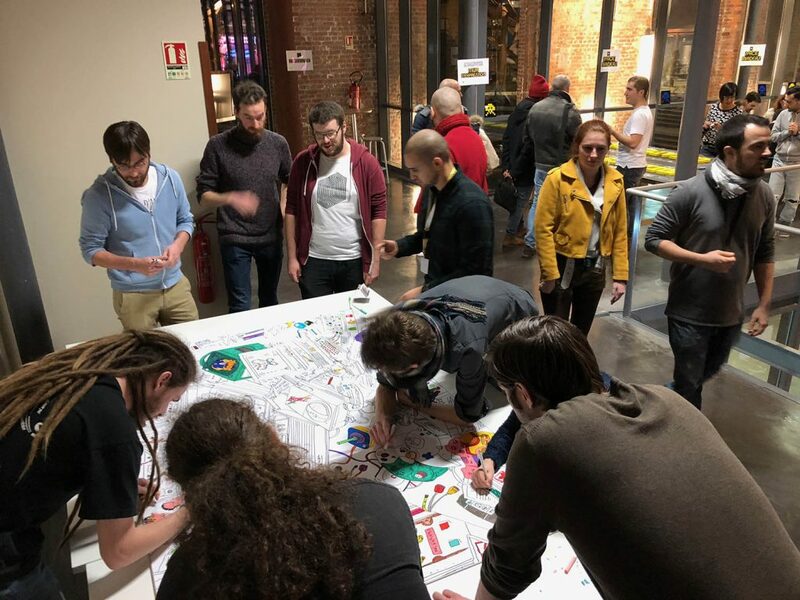 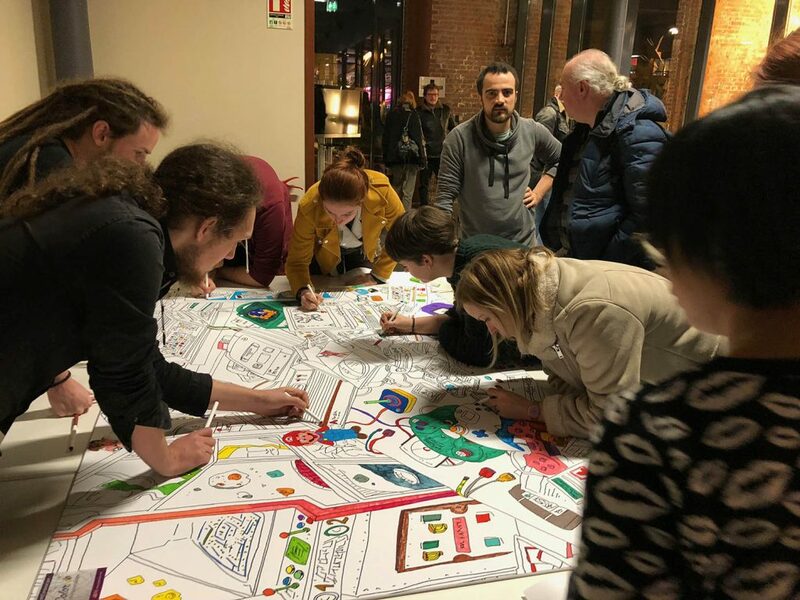 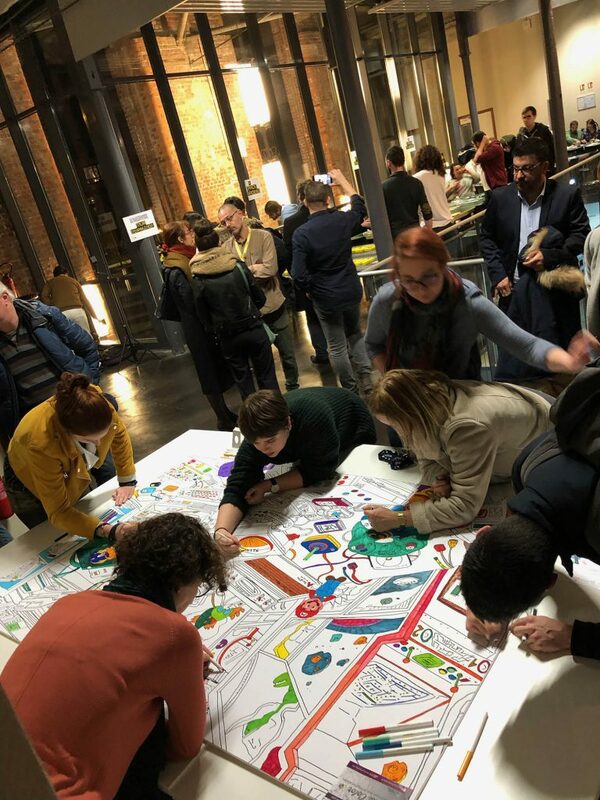 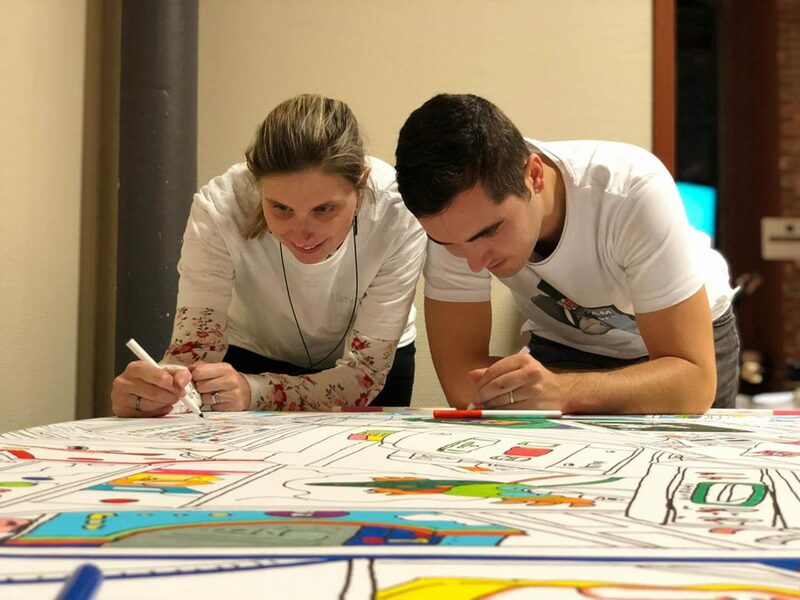 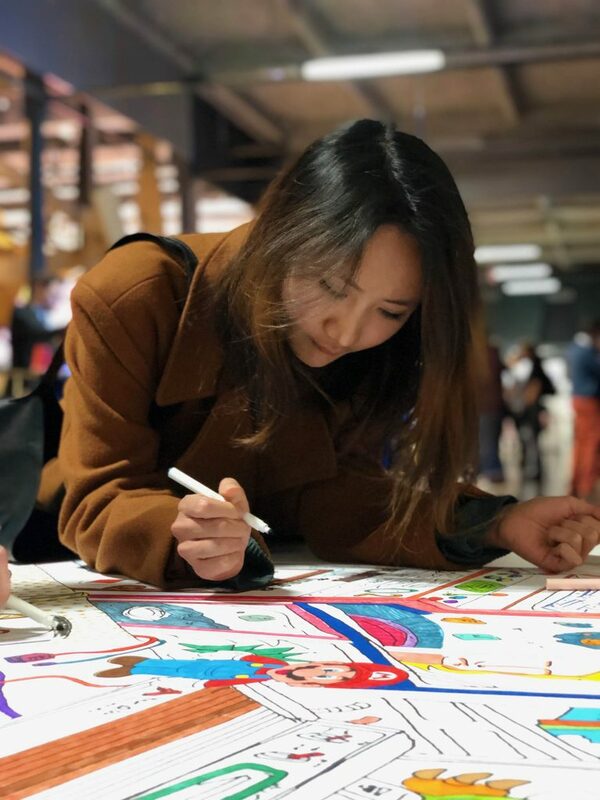 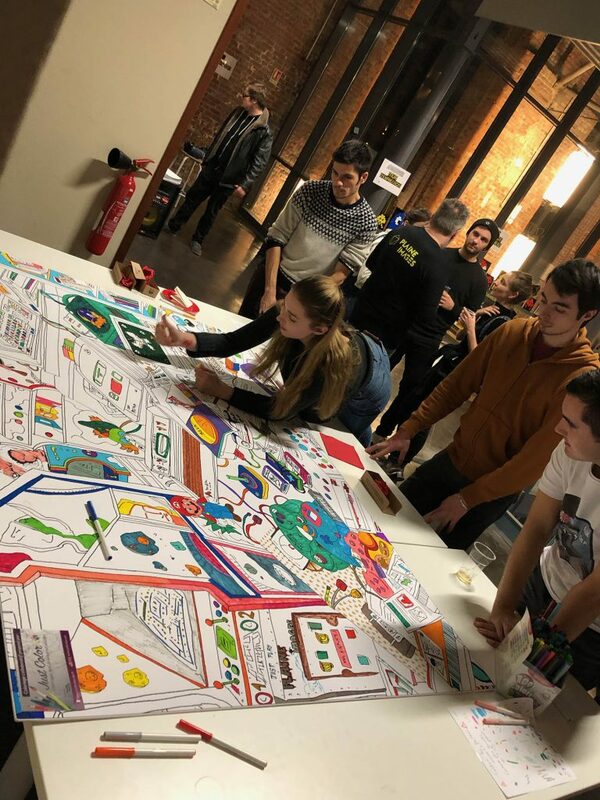 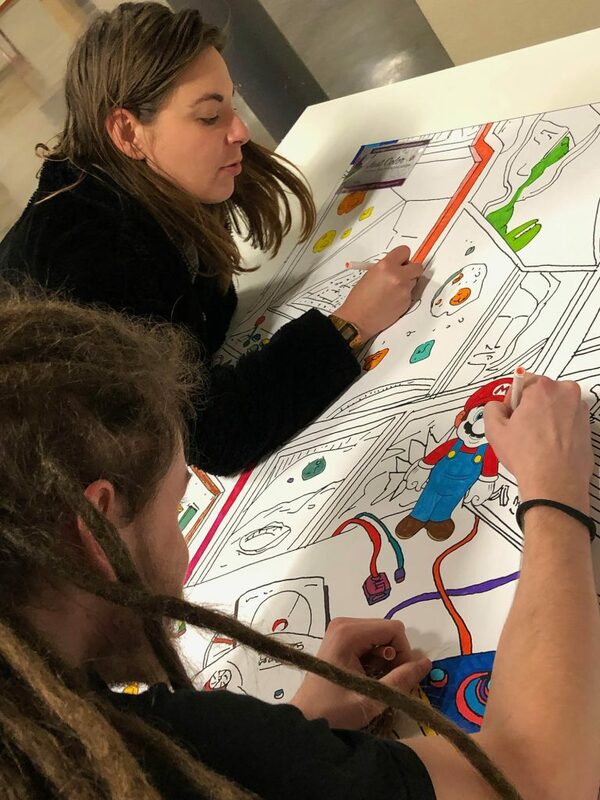 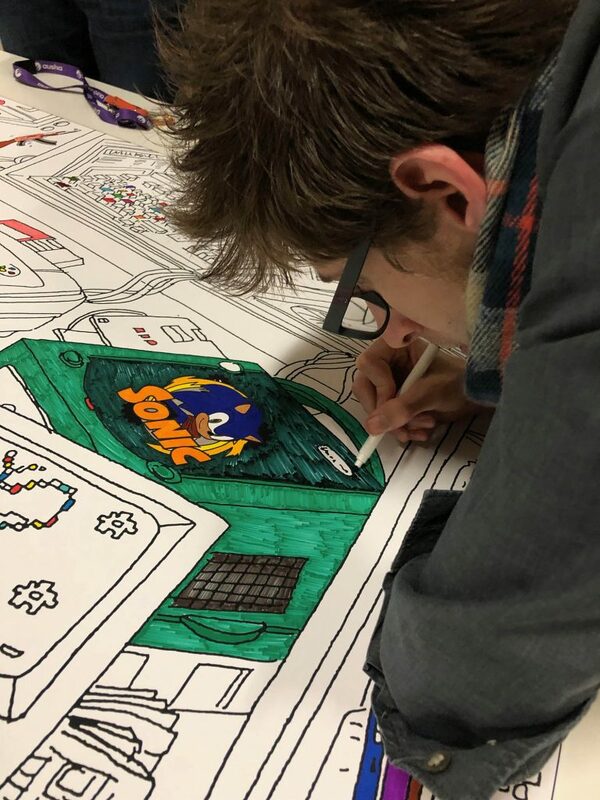 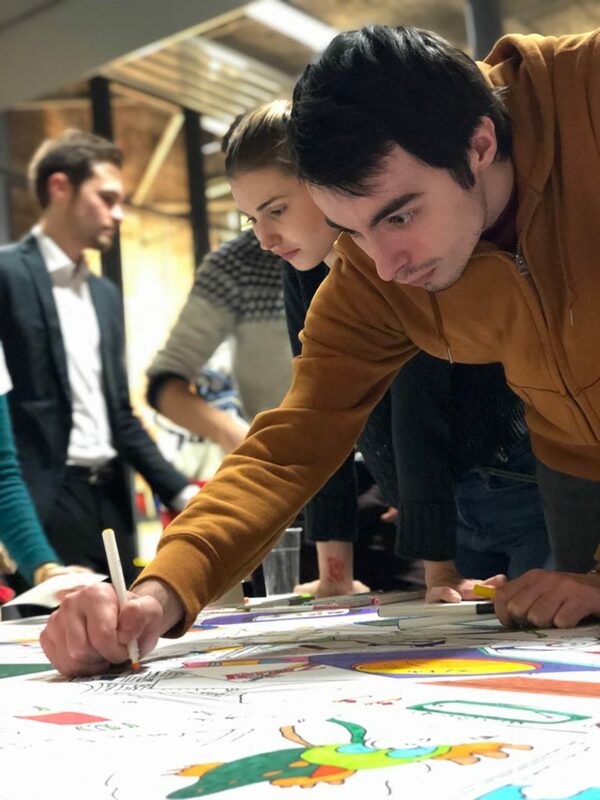 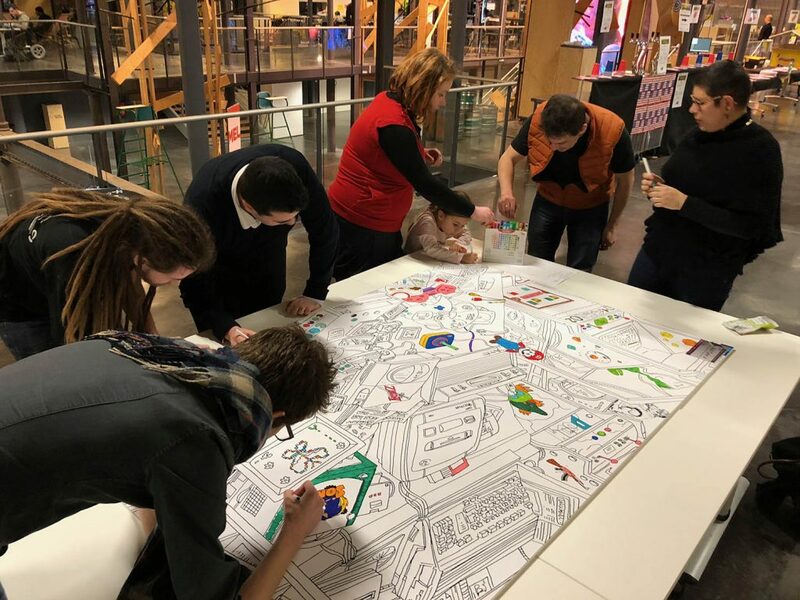 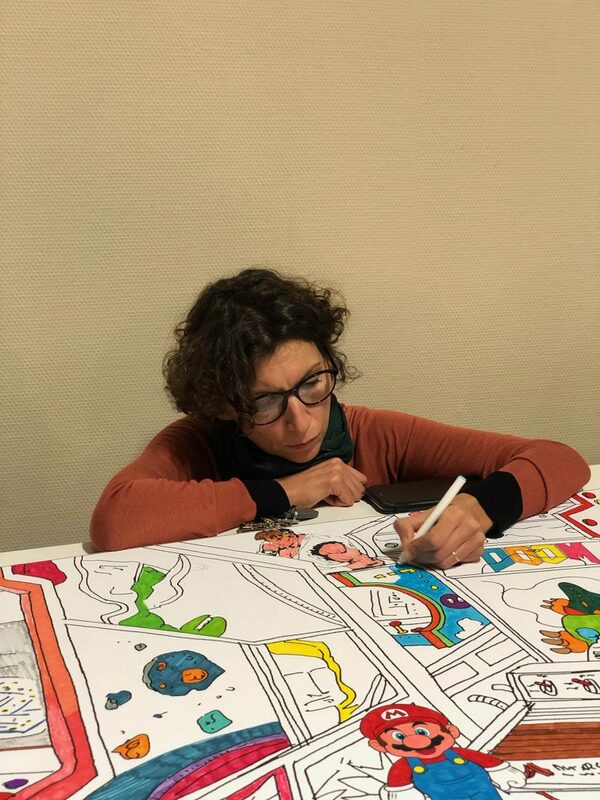 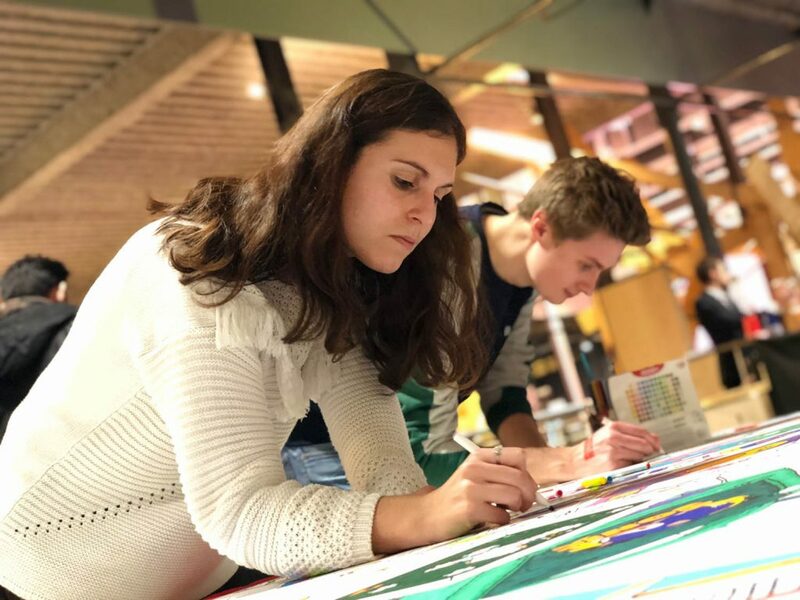 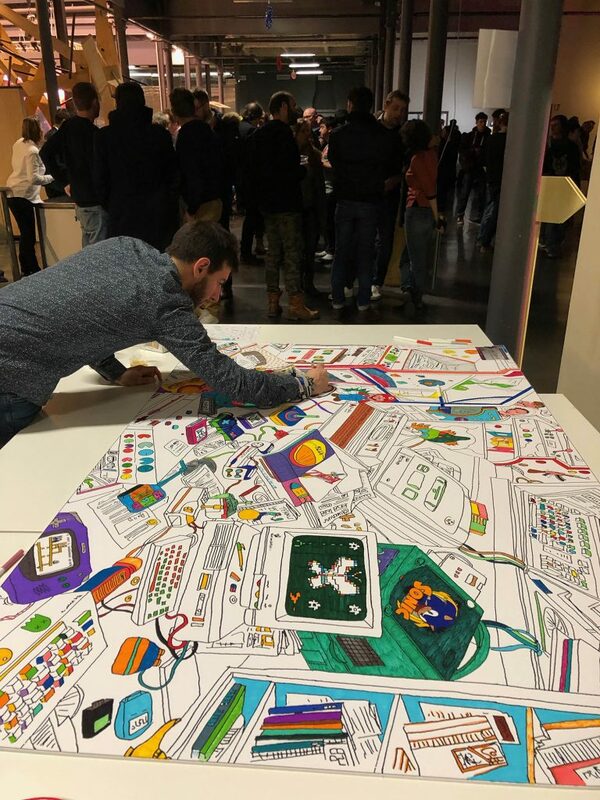 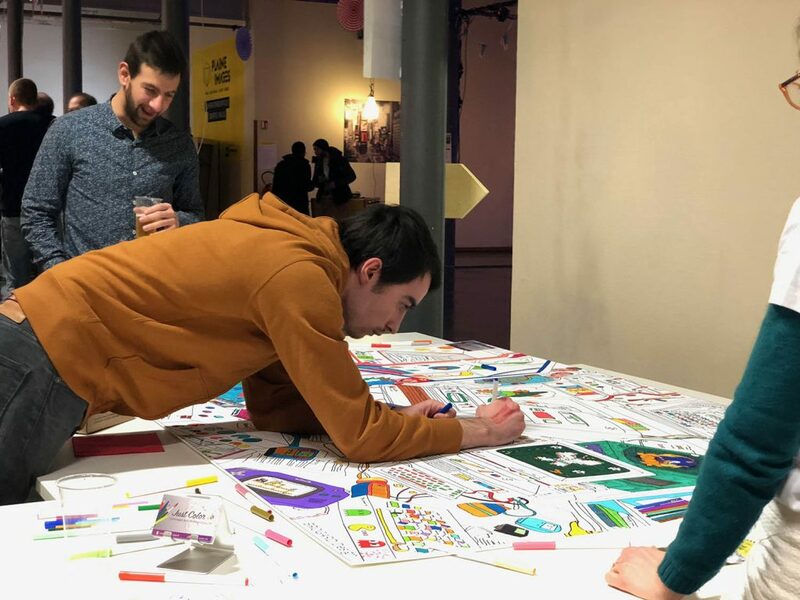 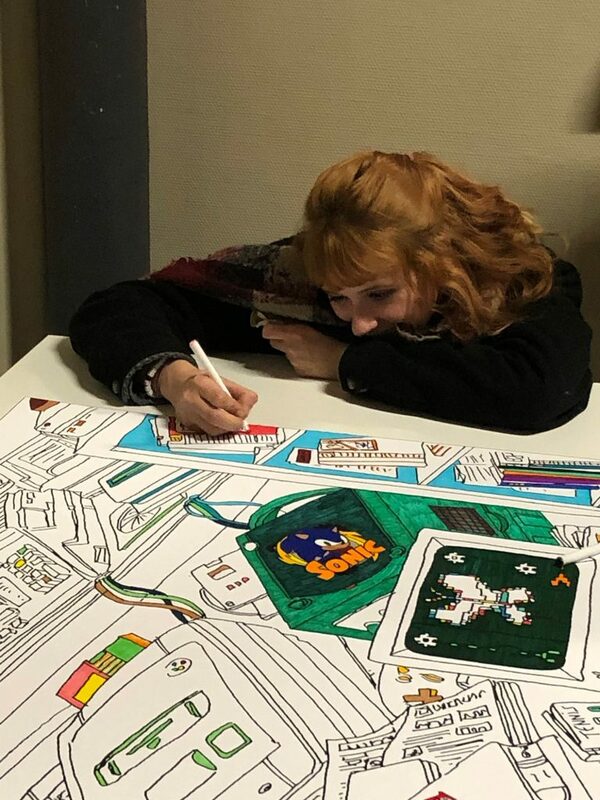 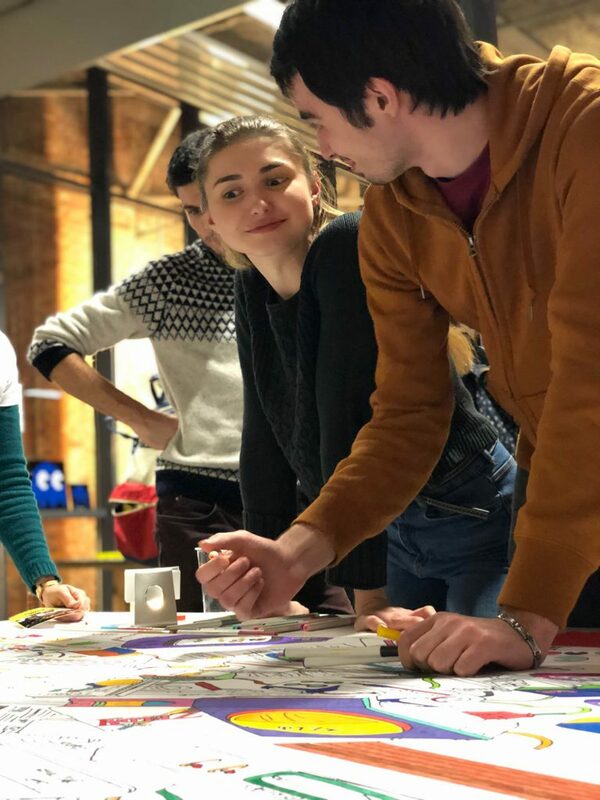 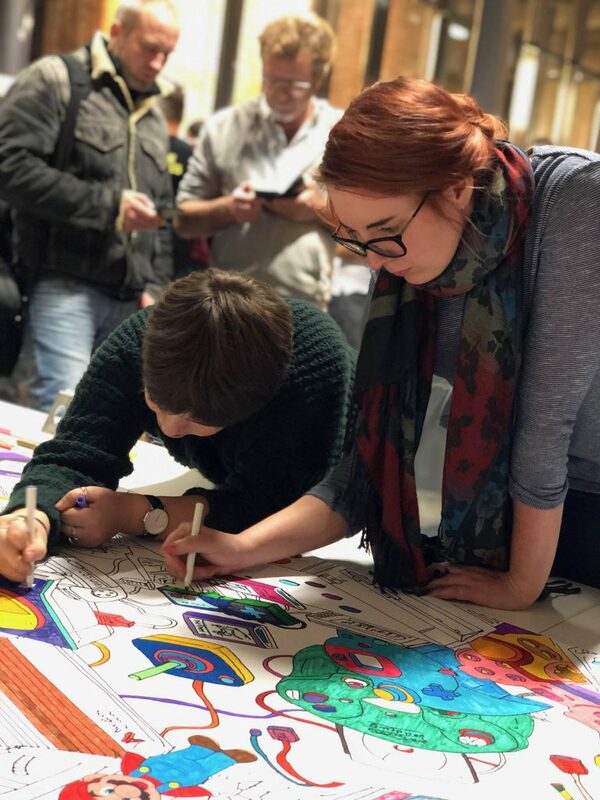 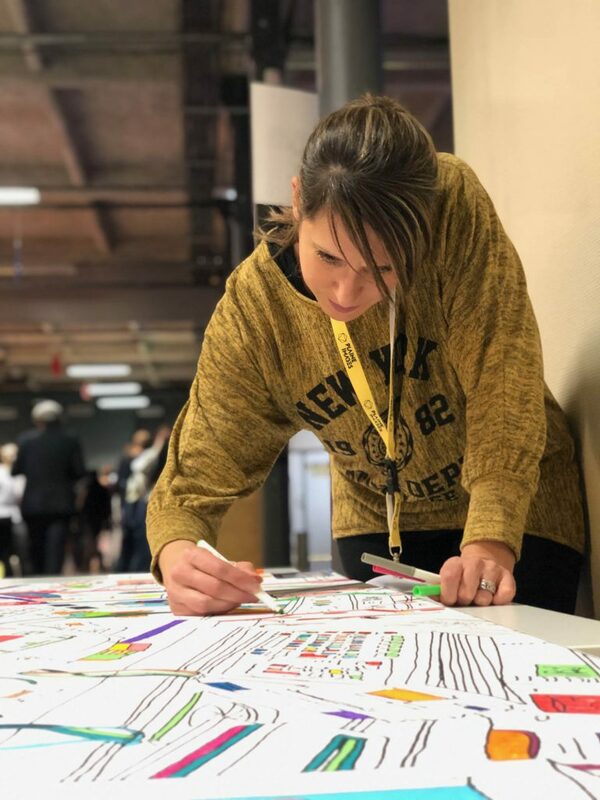 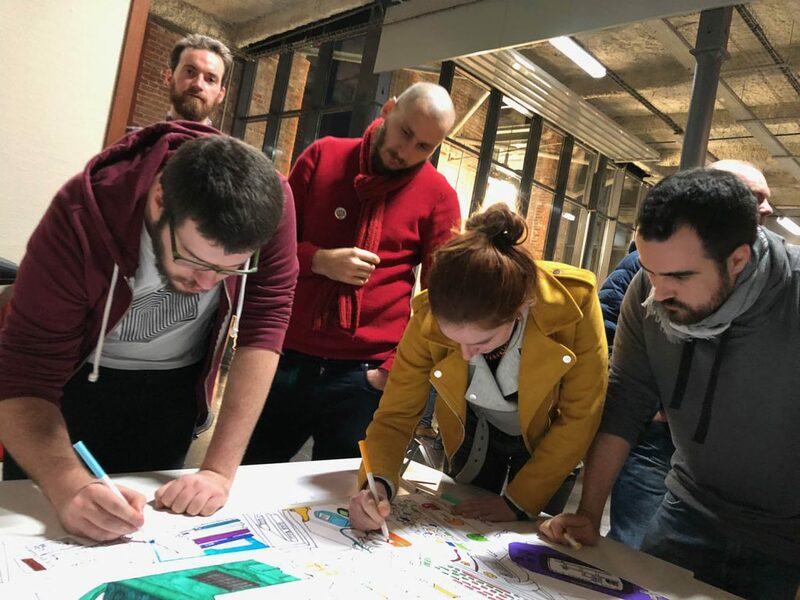 In early January 2019, Just Color partnered with La Plaine Images (Site dedicated to creative industries, in Tourcoing, France) to offer employees of its companies a unique and creative experience : color together a giant coloring page, on the theme of the Video Games of the 90s ! 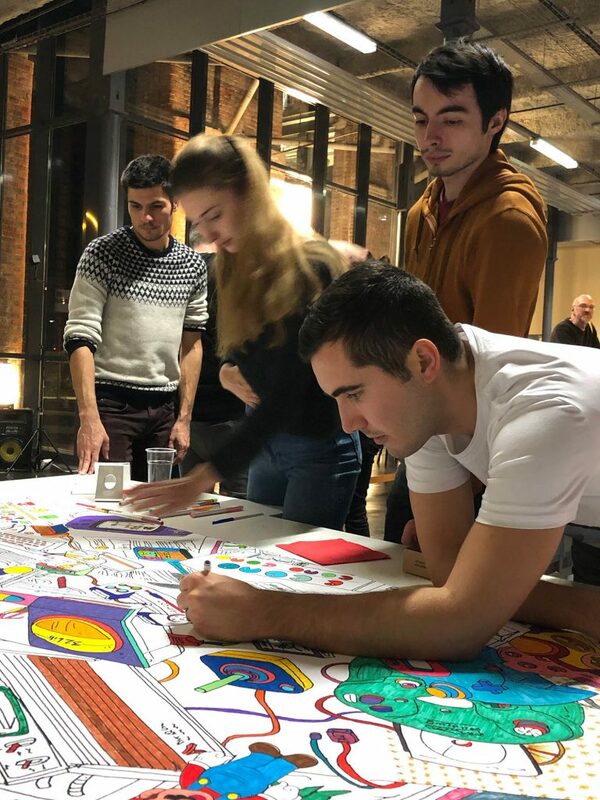 This workshop was part of the celebration of the new year, which included several creative workshops. 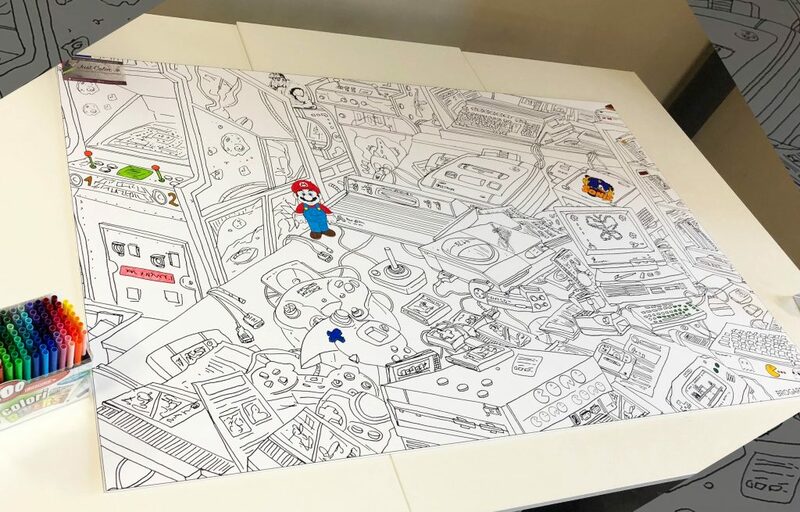 The original design, on the theme of the Video Games of the 90’s was created by Frédéric Brogard, artist partner of the website Just Color. 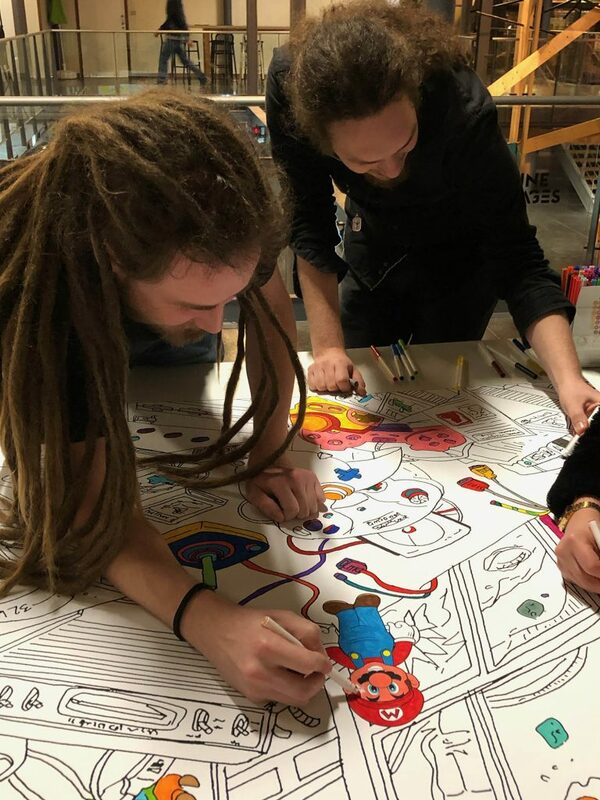 This workshop was a great success, and provide participants with the opportunity to go back to childhood, connect with their inner artists, reduce their stress, and replace negativity with positivity. 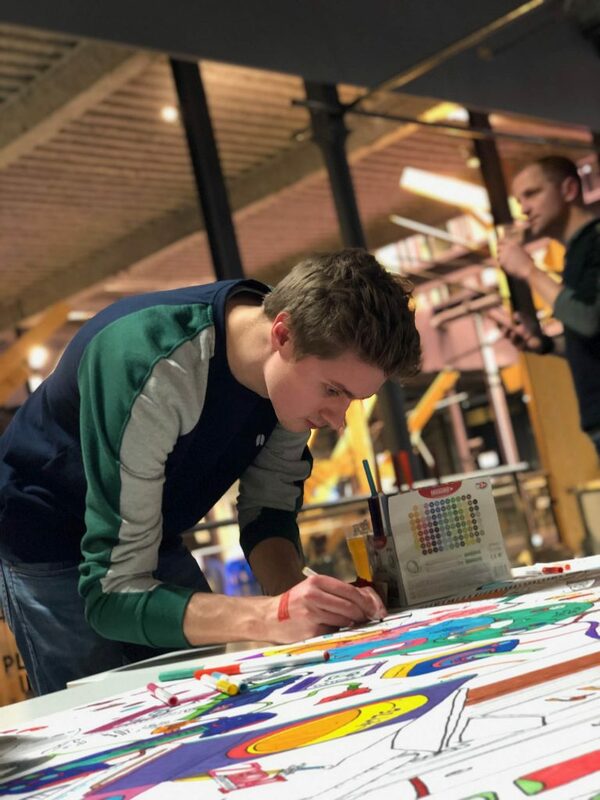 Here are some pictures of this event !